One of the most valuable tools in GIS is the ability to overlay two images of the same location and then compare before and after images. 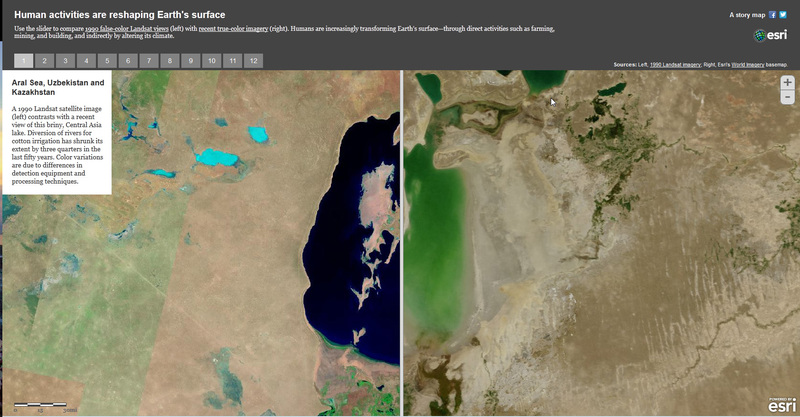 ESRI has a website that allows the user to go back and forth between Landsat Satellite images using a simple slider bar. You can see the dramatic transformation of the earth at places like the Aral Sea and the Athabaska Oil Sands in Alberta. Here is a link to the site.